We offer both highly specialized aluminium and copper/brass cooling systems depending on the application and the environment of the equipment. 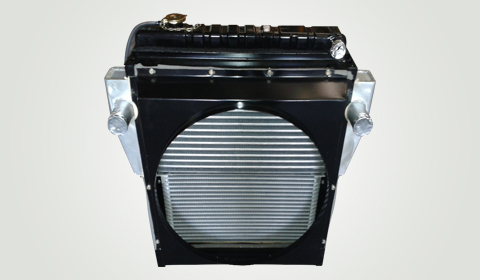 These cooling packages are designed to withstand extreme vibrations, thermal conditions, and dusty work environments. Banco optimizes the configuration of the various heat exchangers to derive the maximum cooling from the air flow available, critical in these low-speed applications. We also design the supporting framework for the cooling system, minimizing the vibration exposure to the heat exchangers.